Speaking to Anadolu Agency (AA), the Turkish Foreign Minister Mevlüt Çavuşoğlu stated that Turkey is sincere in its efforts to reach a just and lasting solution to the Cyprus problem, within the framework of the Joint Statement on 11 February 2014. 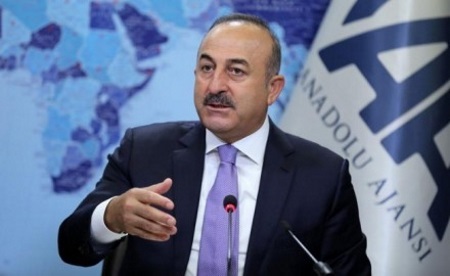 The parties to the Cyprus dispute have not been able to proceed on four negotiation topics, Turkish Foreign Minister Mevlüt Çavuşoğlu said. He also outlined that the Greek Cypriots had focused on guarantees and security instead of discussing topics on other chapters before a new round of talks begin in Geneva on 9 January. “Instead of focusing on clearer points in other chapters, they bring Turkey’s guarantees and security to the agenda,” Çavuşoğlu stated. Greek Cypriot Leader Nikos Anastasiades and Turkish Cypriot President Mustafa Akıncı are to meet in Geneva on January 9 after negotiations broke down last month. Emphasizing that Turkey did not favour “giving any kind of concessions” to the solution, Çavuşoğlu said that if there was to be a solution, both sides should have a common understanding of what that solution should be. 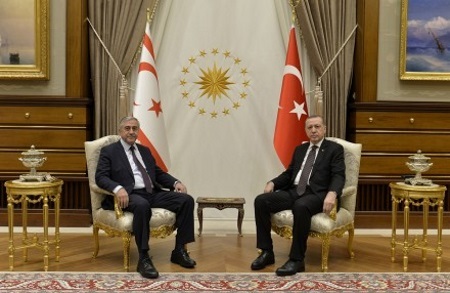 The Turkish Cypriot people want the continuation of Turkey’s guarantorship because they want to feel safe, the Minister said, adding that any agreement for a settlement in Cyprus should be part of the European Union’s primary law…..
President Mustafa Akıncı undertook an official visit to Ankara yesterday to meet with Turkish President Recep Tayyip Erdoğan. The meeting lasted just under an hour. No statement was made after the meeting, but President Mustafa Akıncı will make a statement upon his arrival at Ercan Airport later today. Turkey’s Foreign Minister Mevlüt Çavuşoğlu said he is “more optimistic than ever” that an agreement can be reached in Cyprus. Çavusoglu told reporters after discussing the upcoming Cyprus negotiations with the new UN Secretary-General Antonio Guterres that there are still “serious issues” regarding territory, the map, security and guarantees. “Not only do Turkey, Greece, or the two sides in Cyprus need this, but the eastern Mediterranean, our region, and the whole world needs such a positive development,” Çavuşoğlu said. Çavuşoğlu was speaking ahead of three days of talks in Geneva starting on 9 January between the Greek Cypriot Leader Nikos Anastasiades and President Mustafa Akinci that will aim to reach a comprehensive settlement. 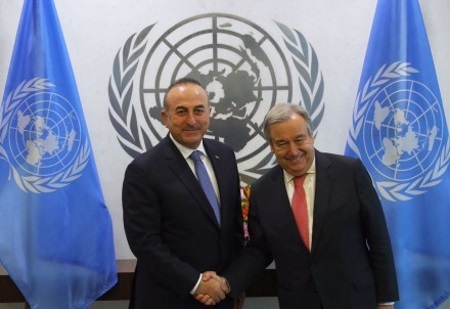 This entry was posted in News and tagged Antonio Guterres, Cyprus negotiations, Mevlüt Çavuşoğlu, Mustafa Akıncı, North Cyprus, Recep Tayip Erdoğan, TRNC. Bookmark the permalink.